Installing new gates, whether electric wooden gates or electric metal gates, is not what you would call an impulse decision. You would be surprised just how much you can transform the outside of your property simply by installing a great looking pair of new entrance gates. 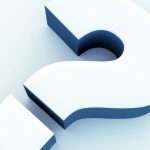 Of course there is going to be one question in the back of your mind, and that is whether or not you are spending money wisely. Although we have a slightly biased opinion here at TPS Gates and Doors Limited, an article in the Daily Telegraph on how to add real value to your property should reassure you that installing new electric gates is a wise choice. While money is certainly an important consideration, this is not the whole picture is simply installing new gates may not achieve the ultimate result you are hoping for unless further thought and advice is used. 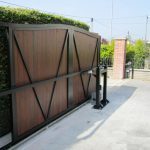 As an example we have a wide range of wooden and metal electric gates and some styles are more suited to modern property while other styles are more suited to older property. This is perhaps why it is always a good idea to invite our site, under absolutely no obligation, to do a site survey and to make you fully aware of all the options available to you. Here at TPS Gates and Doors Ltd we are not a reseller of pre-made doors but instead make all our doors to measure each and every one of our clients’ requirements. Certainly if you are considering selling your property, the old adage “first impressions are lasting impressions” could never be more appropriate. The reason for this is because the majority of house you have a far greater chance of converting that drive-by viewing into a full viewing appointment if you have a pair of inviting entrance gates hunters will often do a drive-by viewing before making an appointment to view the inside. As a consequence, not only can you increase the value of your property with the installation of new electric gates but you can also greatly increase its saleability. Finally comes the aspect of safety, convenience and enjoyment. Nothing beats the sheer pleasure of arriving home late on a cold, dark and wet wintry night, to only have to push a button while still in the warmth of your car and delight as the gates open smoothly in front of your eyes as if being greeted by your own personal gatekeeper! In addition, if you have young children or pets, once closed an electric gate remains closed. Certainly where young children are concerned, curiosity will only get them as far as your electric gate but no further. What price can you put on security and peace of mind? For over 20 years we have been installing wooden and metal electric gates throughout Bristol, Bath, Gloucester, Cheltenham, Cirencester, Chepstow, Newport, Clevedon and all surrounding areas. If you are considering having new electric gates installed at your property and live in any of these areas, please make sure you get in touch with us and we will be delighted to provide you with an accurate estimate of cost free of charge and totally without obligation.